The building of a high-performance Scion. The dismantling of a misconception. 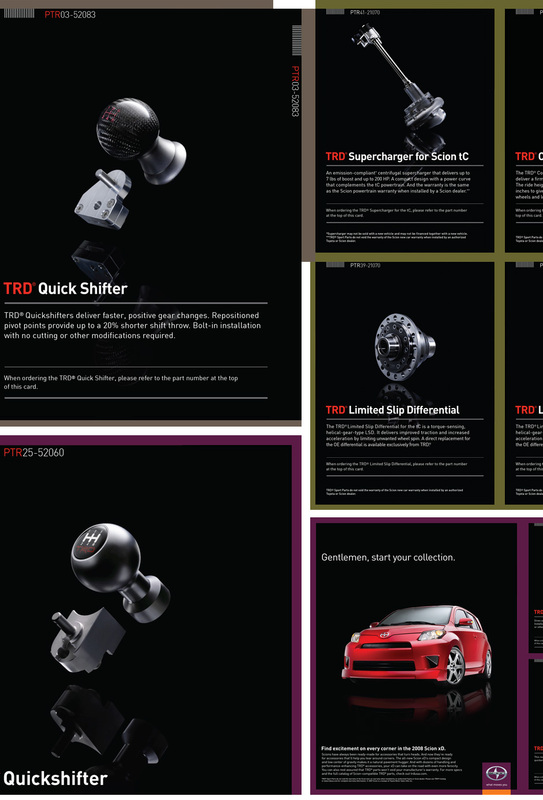 The ad campaign was designed to serve as an introduction to educate the tuner enthusiasts about TRD accessory options available for all Scion models. 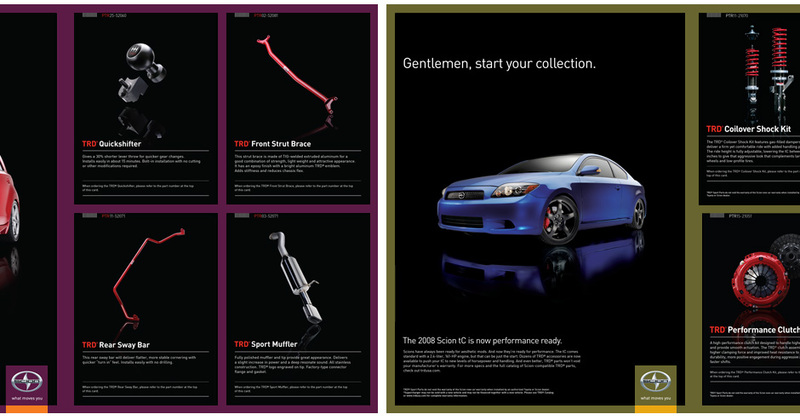 The scope of the project involved visual directions for both print advertising and photography.